Manufacturer & Exporter of Stainless Steel 304L Round Bars & UNS S30403 Round Rods, SS 304L Bright Bars, Steel UNS S30403 Rods, 304L Hexagonal Bar Suppliers in India. As one of the most leading name in this industry, Neon Alloys are engaged in Manufacturing & Exporting a quality assured gamut of SS 304L Round Bars. 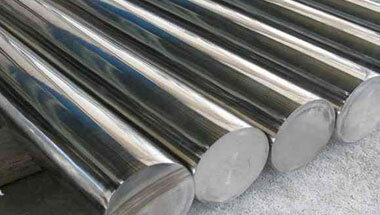 Our in-depth knowledge and industrial expertise allow us to offer premium quality SS 304L Round Bar. These SS 304L round bars are made utilizing high review basic material and most recent technology in agreeability with global guidelines. This range of bars is well appreciated by the clients due to high tensile strength, dimensional accuracy and durability. With the properties of corrosion resistance and chemical persistence these bars are available in varied specifications which suit to diverse needs of various industries such as Food, Dairy, Beverage, Paper, Chemical, Cryogenic, Automotive and Aerospace, Generator industries, Shaft industries, Cement industries, Gas industries Power project, Electrical industries etc. Stainless Steel 304L Round Rods Manufacturer, SS 304L Forged Bar, Steel 304L Hex Bar, Stainless 304L Hollow Bar, Werkstoff nr. 1.4306 Black Bars Supplier in India. Sudan, Mexico, Italy, Peru, Kazakhstan, Azerbaijan, Iran, Malaysia, UAE, Kuwait, Mozambique, Brazil, Cameroon, Argentina, Morocco, Houston, Canada, New Zealand, Thailand (Bangkok), UK, Ethiopa, Sri Lanka, Nigeria, Uganda, Ghana, Indonesia, London, Colombia, Algeria, Angola, Egypt, South Africa, Chine, United States, Vietnam, Dubai, Australia, Jordan, Bahrain, Russia, Venezuela, Democratic Republic of the Congo, Saudi Arabia, Germany, Iraq, Trinidad and Tobago, Turkey, Israel, Africa, Tunisia. Tehran, Fez, Dar es Salaam, Ouagadougou, Conakry, Algiers, Lagos, Tel Aviv, Lusaka, Cairo, Benin, Zaria, New York, Subra al-Haymah, Manama, Harare, Brazzaville, Freetown, Alexandria, Lubumbashi, Rabat, Kano, Kinshasa, Cape Town, Port Harcourt, Abu Dhabi, Cairo, Bulawayo, Omdurman, Addis Ababa, Abidjan, Ibadan, Dubai, Maputo, Accra, Data from the UN, Hong Kong, Jeddah, Douala, Tripoli, Colombo, Johannesburg, Port Elizabeth, Pretoria, Istanbul, Aqaba, Doha, Casablanca, Muscat, Antananarivo, Giza, Beirut, Mbuji-Mayi, Kolwezi, Luanda, Sharm el-Sheikh, Mogadishu, Bamako, Byblos, Amman, Singapore, Mecca, Maiduguri, Bethlehem, Dakar, Nairobi, Kampala, Khartoum, Jerusalem, Durban, Yaoundé, Dammam, Riyadh, Soweto, Kaduna.